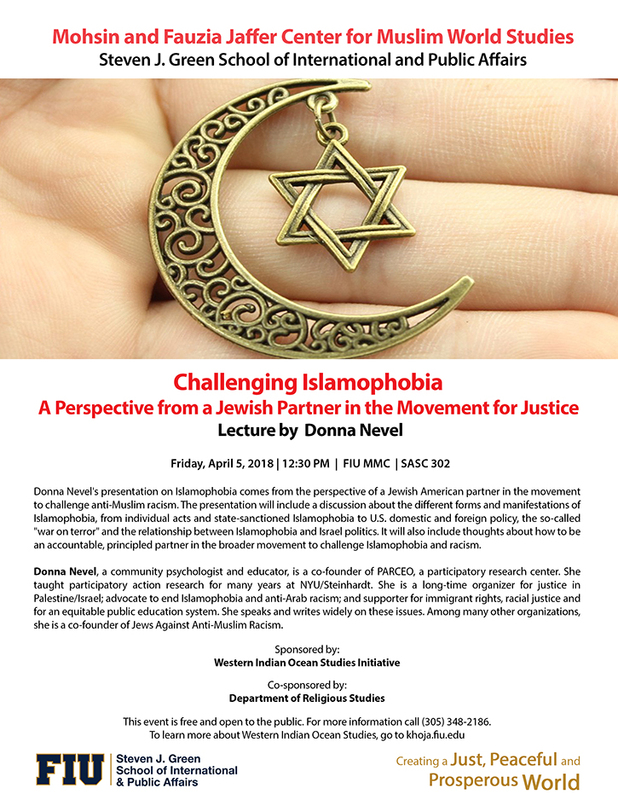 Donna Nevel's presentation on Islamophobia comes from the perspective of a Jewish American partner in the movement to challenge anti-Muslim racism. The presentation will include a discussion about the different forms and manifestations of Islamophobia, from individual acts and state-sanctioned Islamophobia to U.S. domestic and foreign policy, the so-called "war on terror" and the relationship between Islamophobia and Israel politics. It will also include thoughts about how to be an accountable, principled partner in the broader movement to challenge Islamophobia and racism. Donna Nevel, a community psychologist and educator, is a co-founder of PARCEO, a participatory research center. She taught participatory action research for many years at NYU/Steinhardt. She is a long-time organizer for justice in Palestine/Israel; advocate to end Islamophobia and anti-Arab racism; and supporter for immigrant rights, racial justice and for an equitable public education system. She speaks and writes widely on these issues. Among many other organizations, she is a co-founder of Jews Against Anti-Muslim Racism. For more information call (305) 348-2186.